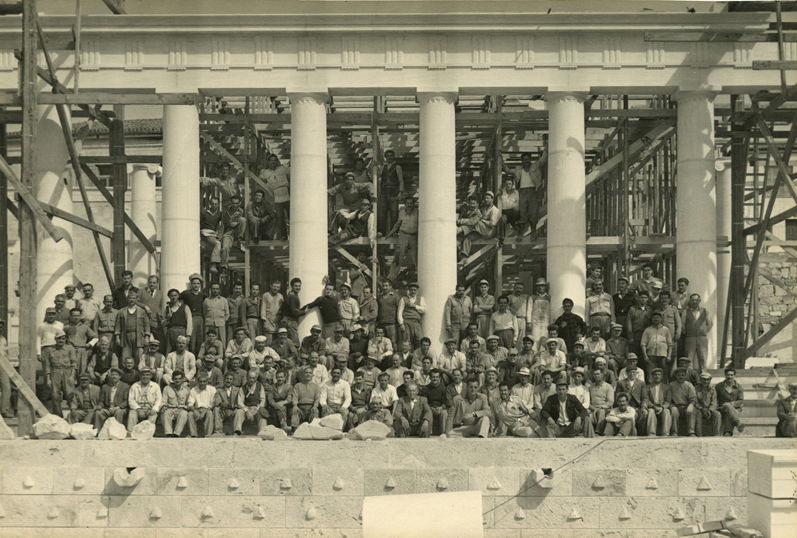 The marble carvers, carpenters, and workers who participated in the reconstruction of the Stoa of Attalos, 1955. The excerpt above was written in 1958 from the pen of John (Jack) Caskey, Director of the American School of Classical Studies at Athens (1949-1959). It epitomizes the perception that most Europeans had of America even after European culture had entered into its American phase. It is also a passage quoted in a brilliant review of the development of the Greek-American relationships from 1947 to 1961, published with the title “Shallow Waves and Deeper Currents: The U.S. Experience of Greece, 1947-1961. Policies, Historicity, and the Cultural Dimension,” by Evanthis Hatzivassiliou in Diplomatic History, vol. 37 (2013), pp. 1-28. American missions like the American Mission for Aid to Greece (AMAG), which came to Greece after 1947 in order to implement both the Truman Doctrine and the Marshall Plan, were fortunate to find an active academic community including members of the American School who had already built strong bi-cultural relationships with the Greek State and were willing to smooth the path for the work of relief agencies in Athens. 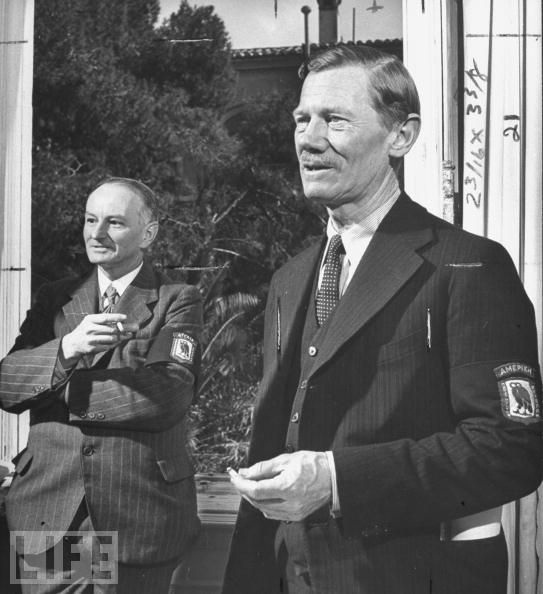 Carl Blegen, as Cultural Attaché of the U.S. Embassy in 1945-1946, and, later, as Director of the American School in 1948-1949, facilitated the rehabilitation of Greek museums as a liaison between the Economic Cooperation Administration (ECA) of the Marshall Plan and the Greek Government. Alison Frantz who succeeded him at the U.S. Embassy until 1949 also served as the first executive director of the newly established Fulbright Foundation. Oscar Broneer, Acting Director of the ASCSA in 1947-1948, in addition to “educating” the members of the AMAG with on-site lectures, directed in 1947 the film Triumph Over Time in an effort to mobilize Greek resources prior to the institution of the Marshall plan. In addition to these activities considered by Hatzivassiliou, I would also mention the large parties that Carl and Elizabeth Blegen hosted to honor members of the AMAG either in the Director’s residence or at their lavish house on Ploutarchou 9, as well as Elizabeth’s initiative in organizing a Helleno-American Woman’s Club (AWOG). She served as its first president after it was founded in 1948 by Mrs. Henry Grady, the wife of the U.S. Ambassador to Greece. I find Hatzivassiliou’s article fascinating because for the first time the political and cultural aspects of U.S. post-WWII intervention in Greece, along with its dimensions and consequences, are brought together to illuminate the role of the American foundations in Greece and to foreground their contribution, always understated, to the country’s subsequent rehabilitation. His study should be read together with Niki Sakka’s article “ ‘Foreigners from the Western World Are Paying a Debt to Ancient Wisdom and Beauty:’ The Reconstruction of the Stoa of Attalus in the Ancient Agora of Athens,” in Philhellenism, Philanthropy, or Political Convenience? American Archaeology in Greece, ed. Jack L. Davis and Natalia Vogeikoff-Brogan, Hesperia 82: 1, pp. 203-227. The reconstruction of the Stoa of Attalos, perhaps the most ambitious program ever undertaken by the American School, was presented to the American people both as a debt that they owed to the country that gave birth to democracy, and as a vehicle to boost Greece’s tourism. Tourism was viewed both by Americans and Greeks as the country’s strongest asset as they together planned its economic recovery after the war.